TBILISI, Georgia -- Politicians, business leaders and ordinary citizens in Central Asia, increasingly worried about Russian interference in their countries, should look on with trepidation as Georgia marks the 10-year anniversary of Russia's ongoing occupation. Georgia's national flags were flying at half-staff outside government buildings Wednesday (August 8) as the nation mourned the victims of the bloody war. Georgian President Giorgi Margvelashvili Tuesday (August 7) condemned Russia's continued "occupation" of its territory, which has left the country dismembered with its separatist regions of Abkhazia and South Ossetia remaining under Moscow's control. Those regions contain about one-fifth of Georgia's pre-war territory. "This is a war against Georgia, an aggression, an occupation and a blatant violation of international law," he told a Tbilisi roundtable attended by Georgian government officials; the foreign ministers of Latvia, Lithuania and Poland; and Ukraine's vice premier. Georgia and Russia feuded for years over Tbilisi's bid to join the European Union (EU) and NATO, with the spiralling confrontation culminating in a five-day war in 2008. 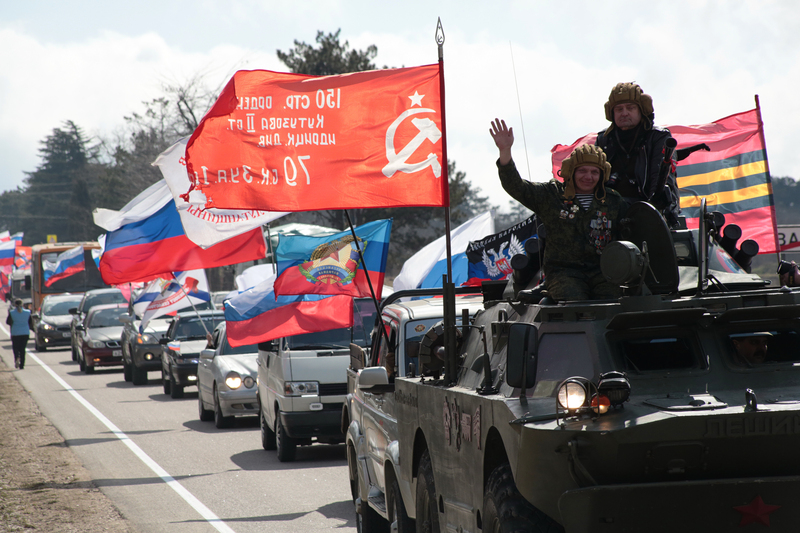 On August 8, 2008, the Russian army swept into Georgia, bombing targets and occupying large swaths of territory. Over just five days, Russia defeated Georgia's small military and the hostilities ended with a ceasefire. After the war, Moscow recognised South Ossetia and another separatist enclave, Abkhazia, as independent states, where it then stationed permanent military bases. Tbilisi and its Western partners condemned the move as an "illegal occupation of Georgian soil" and the first time a sovereign state's borders were changed in Europe through military force since the end of World War II. Up to 18,500 ethnic Georgians were forcibly displaced from South Ossetia, according to prosecutors from the International Criminal Court, which in 2016 opened an investigation into war crimes committed during the conflict. Speaking to AFP last week, Margvelashvili said that back in 2008, the West believed Russia's war on Georgia "was an isolated move that will not be repeated against other countries". "And then we witnessed what Russia did in Ukraine in 2014," he said, referring the Kremlin's support for pro-Moscow rebels in Eastern Ukraine and Russia's annexation of the Crimean peninsula. In an interview with the Kommersant daily on Monday (August 6), Russian Prime Minister Dmitry Medvedev -- who was president in 2008 -- defended Moscow's recognition of the separatist regions as "the only possible step... to maintain durable peace" and "stability in the South Caucasus". In an interview Monday with Ekho Moskvy, Mikheil Saakashvili -- Georgia's president in 2004-2013 -- said Russia had been preparing to invade his country years before the war broke out. Georgia had no chance of winning a war against its giant northern neighbour but gave "the aggressor a smack in the jaw", he wrote. Russian President Vladimir Putin -- prime minister during the war -- said in 2012 that he approved a plan of military action against Georgia as early as 2006 and that Russia has "trained South Ossetian militia". The Georgian Foreign Ministry denounced Russia's continued military build-up in the separatist regions. 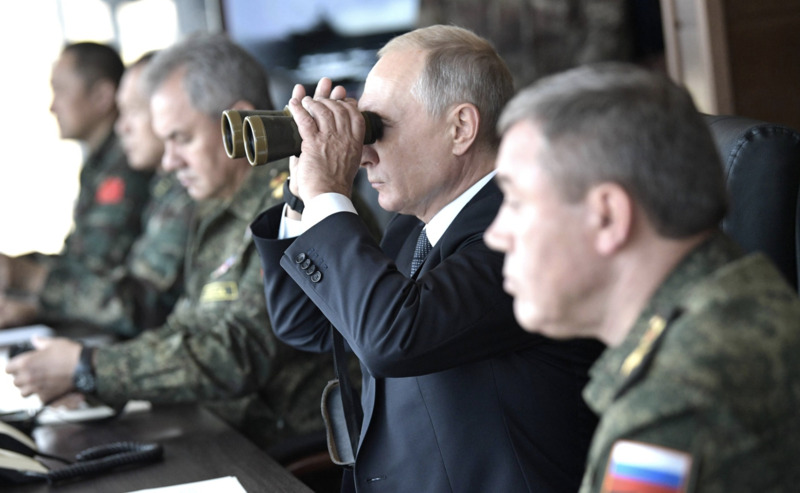 "The Russian Federation has not implemented its international obligations despite constant calls from the international community ... and has further reinforced its illegal military presence on the ground," the ministry said in a statement Tuesday. Also on Tuesday, EU foreign policy chief Federica Mogherini said that the "Russian military presence in both Abkhazia and South Ossetia continues to violate international law." Joining the chorus of international condemnation, the German Federal Foreign Office called Russia's recognition of the breakaway Georgian areas Abkhazia and South Ossetia "unacceptable". US Secretary of State Mike Pompeo phoned Margvelashvili to reiterate Washington's "strong support to Georgia's territorial integrity and sovereignty", the Georgian presidency said Wednesday. He "underlined that the United States would never reconcile with the occupation of Georgian territories" and "pledged to continue helping Georgia in addressing the challenges still facing the country ten years after Russia's military aggression", it said in a statement. The examples of Russia's illegal territorial seizures in Georgia and Ukraine, and its malign influence across the world, including in the Syrian war, are clear, observers say. As as result, concerns about Russian interference have been steadily growing in Central Asia, and Kazakhstan has probably expressed the greatest concern. Astana, in turn, has taken steps to dilute the concentration of ethnic Russians in the north of Kazakhstan, namely, the voluntary resettlement of ethnic Kazakhs from the south to the north of the country. Genuine co-operation between Kazakhstan and the United States is increasingly drawing the ire of Russia, according to Russian news reports. Russia and Tajikistan in mid July kicked off joint military exercises ostensibly to prepare for militant attacks emanating from Afghanistan. However the real reason, observers say, is Russia's reluctance to allow others, such as China, into its "back yard". 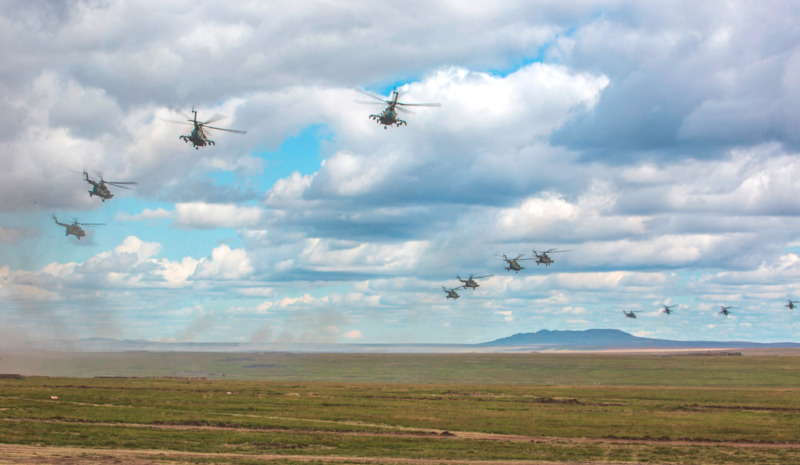 The Kremlin's aggressive behaviour in Central Asia and elsewhere stems from domestic needs, observers have argued. Russia develops "strike forces" to carry out either violence or pro-Russian propaganda in other countries. It relies on citizens of those countries who have suffered political defeat or have otherwise been marginalised, making them amenable to carrying out various "dirty tasks" in exchange for Russian funding. So-called "Russia" is a fascist, terrorist state. Why "so-called"? Because there's no such country. There is Tatarstan, Bashkurtstan, Chechenstan, Dagstan, Ingushstan, the Altay Republic, etc. There's also Moscow koх, our former Mokshansk. Ryazan ulus is former Erzyansk, where Erzya [an ethnic group] live. There's also Novgorod koх where Suds live and other peoples, I just can't list all of them here. Peter the Great turned them into Russians in the 18th century. Their czars and czarinas were Germans and all those illegitimate usurpers (Peter the Great, False Dmitrys 1,2,3 etc). And since the 1917 coup, Jews have been ruling them. These Jews also say that they are Russians, but of course, they know they are Jewish. You rats on the payroll! And your Nazar "sold himself out" for his own money, for the frozen accounts stolen from Kazakhstan! Your oligarchs have sold out their country long ago and now use the money to pursue their aggressive policy, blinding and deafening Russians with propaganda. As the saying goes, "why do you see the speck that is in your brother’s eye, but do not notice the log that is in your own eye." Kazakhstan should distance itself as far as possible from Russia and be closer to the West. Unity is also important for all the Turkic countries (including Turkey). Our history, culture, language and much more unite us and [we could] have economic relationships between our countries!